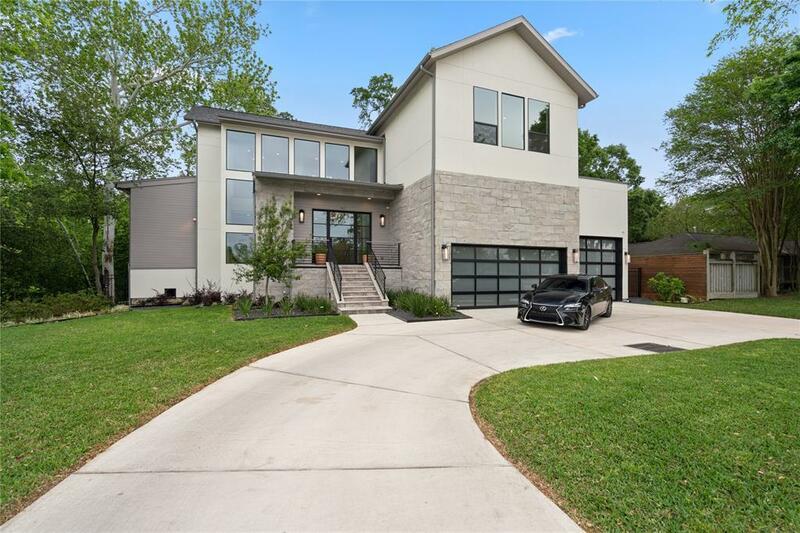 This New Construction, contemporary style home by RobRyan Builders features so many upgrades including a waterfall kitchen island, circle driveway, OVER-SIZED garage, pre-wired media/theater room, designer light fixtures, pre-wired for security cameras, floor to ceiling windows, 2 utility rooms & so much more! 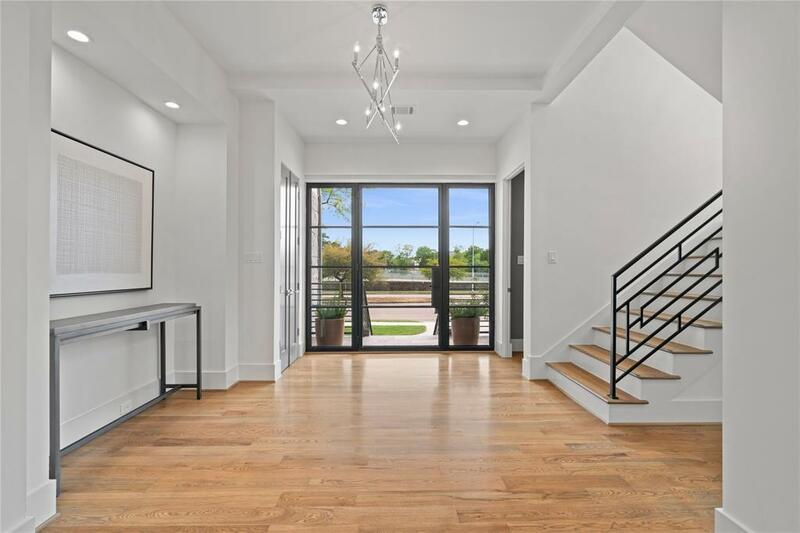 Home also offers pier & beam slab, elevated above flood zone w/high-end finishes throughout including custom-site built cabinetry, high-end counter tops & hardwood & marble flooring. The well-appointed kitchen includes a huge walk in pantry, large island, under cabinet lighting & high end Jenn Air appliances. Home also offers a 1st floor & 2nd floor master suite as well as a 1st floor study & a rare 1st floor secondary bedroom. 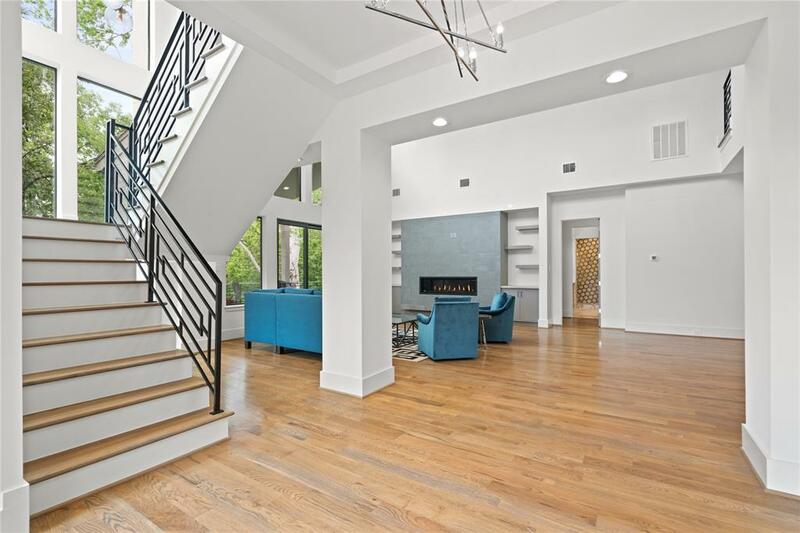 The stunning living room offers soaring 30 ceilings w/custom wood beam detail & recessed lighting throughout! 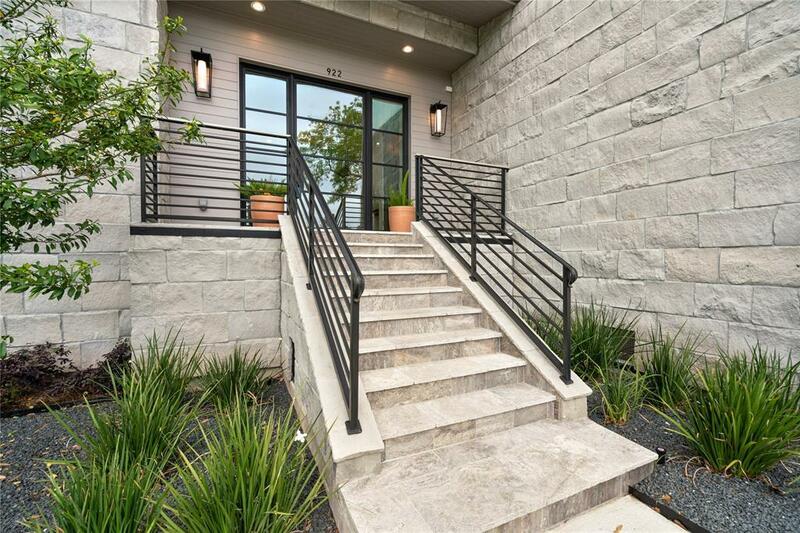 The balcony overlooks a beautiful wooded ravine and the White Oak Greenway Trail for hiking and biking is just walking distance from this home!